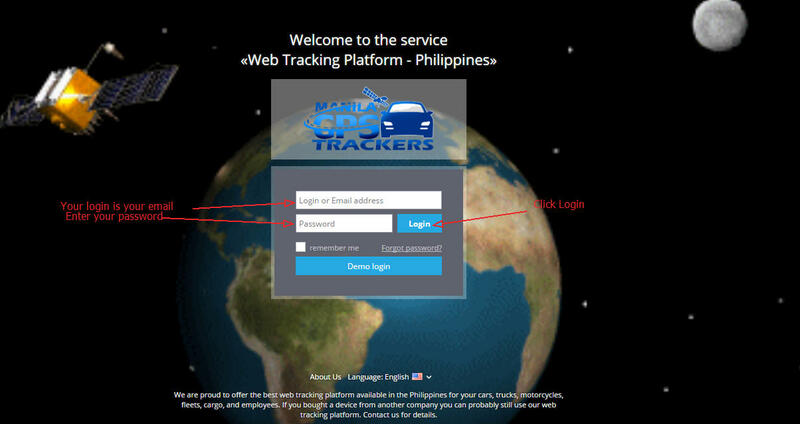 To login to the platform please go to: Web Tracking Platform. Make sure you have given us the email address you would like to use as your login ID. Enter your email address and password and then click Login. After you login you will see this screen called the ‘Home Screen’. 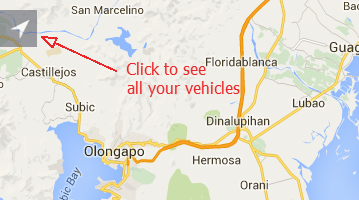 It shows all of your objects (vehicles, trucks, motorcycles, staff) that you have registered on your account. Click on the arrow on the top left of the screen to show a menu with all your objects (if the menu with all the objects already showing when you login then there is no need to click the arrow). If you want to hide the menu so that you can see more of the map then simply click the arrow again. Here in the objects menu you can see information such as speed of object, object groups (good if you want to segment your objects)and online status of the object. Speed: If the vehicle is moving you will also be able to see the speed of the vehicle underneath the online status circle. 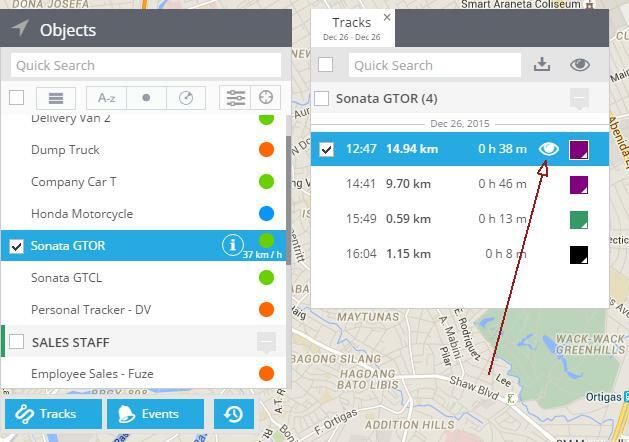 Groups: You can create groups if you want to further segment or group certain vehicles together, such as: delivery vehicles, staff, company vehicles, Metro Manila vehicles, etc. Creating groups will be explained later under Device Settings. Note: There are areas both in and outside Metro Manila where the GPRS (internet) signal is weak.  This does not mean there is anything wrong with your GPS Tracker or the web tracking platform. 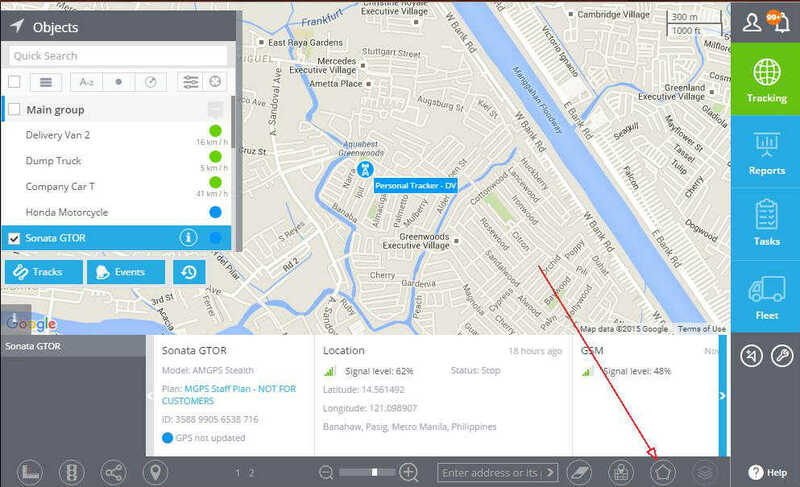 Usually these are issues caused by the network providers (SMART or Globe) as their GPRS coverage is sometimes not reliable or consistent in all areas. Dollar Sign: If you see a red dollar sign next to one or more of your objects (see image below), it means the object has automatically been disconnected by the platform for non-payment of your web platform invoice – please contact us. Move (hover) your mouse over any of your objects in the objects menu, you will then see an ‘i’ as per the image above. Click the ‘i’. 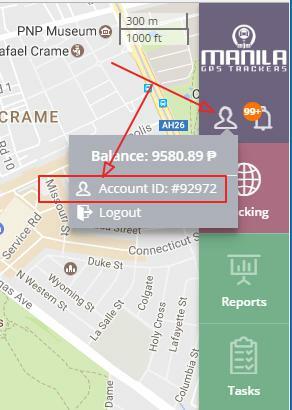 Depending on the tracker you have purchased you will see information such as: exact location of vehicle, speed of vehicle, GPS and GSM signal strength, ignition on/off, odometer, and recent events of the object such as if the object has entered an area of weak internet or GPS signals. 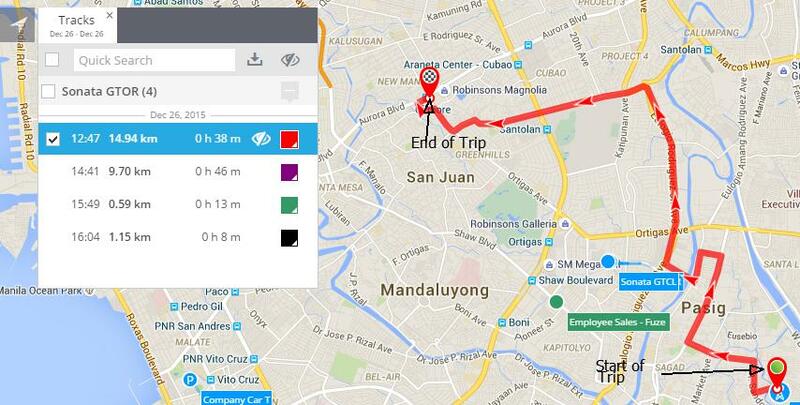 You can choose more than 1 route at the same time and they will all be shown on the map. Use the zoom buttons at the bottom of the screen to zoom in and out as needed. Below the route you will see a summary of the route/trip including: start of the trip, end of the trip, fuel consumed, average speed of vehicle during trip, total length of trip, total time of the trip. Geofences are simply boundaries that you can setup so that you know every time an object (vehicle or staff) enters the geofence area. 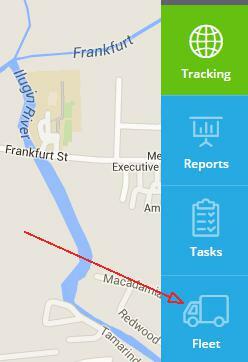 You can be alerted in real-time via web tracking platform on your desktop, mobile app, or email, at no charge. You can also be alerted via SMS (additional charges will apply). 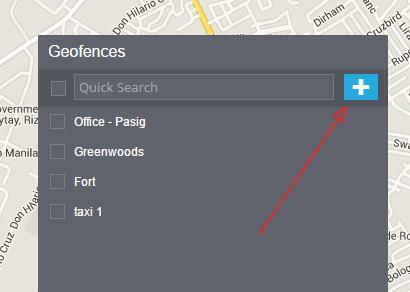 Then select the type of geofence you would like. The most common are: circle and polygon, but there is also a route geofence. 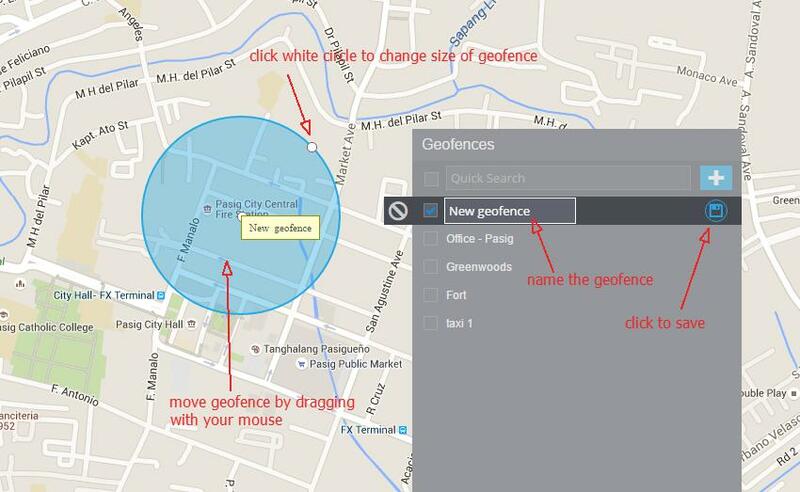 For this example we will create a circle geofence. To create a circle geogence click the word ‘circle’. You will now see a blue circle appear. 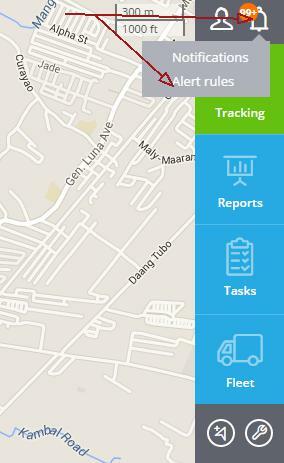 You can adjust the size of the geofence by dragging the small white circle shown in the image below. Use the zoom in and zoom out buttons at the bottom of the screen to adjust the map in case you have a larger or smaller geofence you need to create. Make sure to give your geofence a name and click the save icon. You have successfully created a geofence. 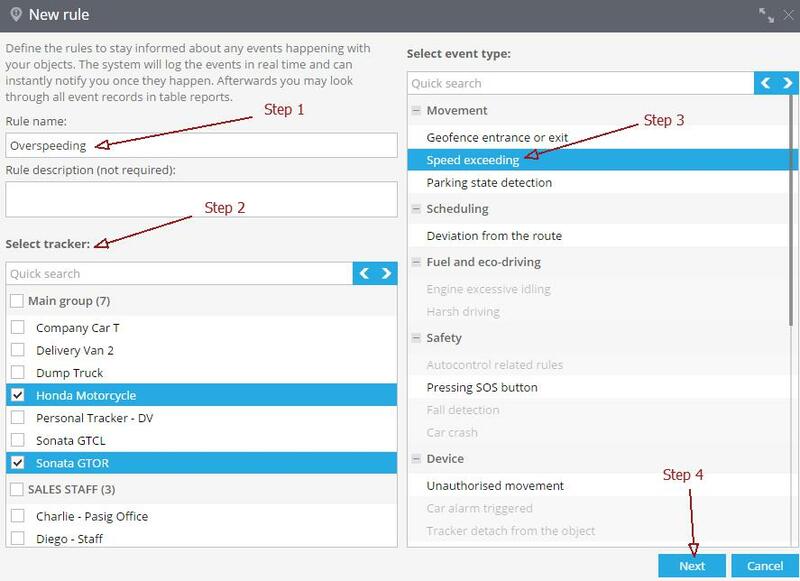 In order to receive reports and alerts for vehicles or staff that enter and exit this geofence you will need to create an alert rule under the Alerts section of this guide or simply click here. 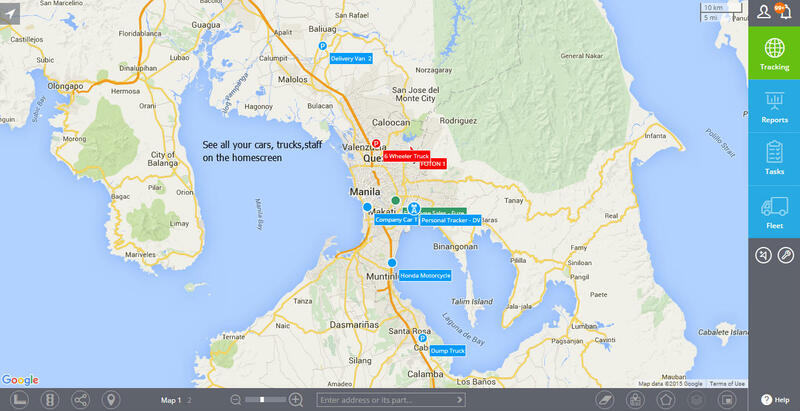 Using real-time GPS technology the platform can notify you of alerts that you have set up. You can be notified on the web platform, our mobile app, through email, and through SMS (all notifications are free except for SMS notifications). On the web platform a real-time notification would look like the image below. Notifications are a result of creating alert rules. 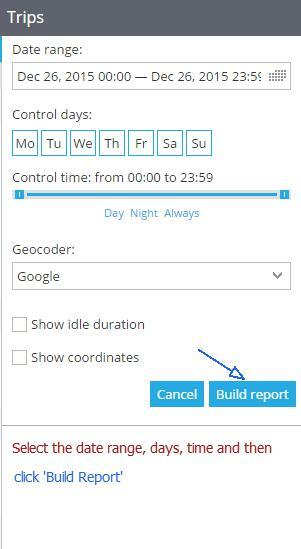 Once an alert rule is created you will start to receive notifications and can also create reports based on the alert rules created. 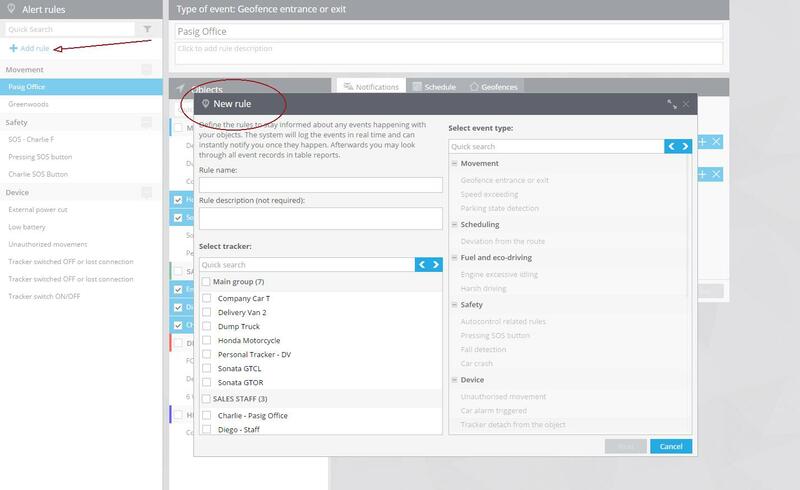 We will guide you on how to create an alert rule. The first step is to click the bell shaped icon in the top right and then click alert rules as shown in the image below. Click + Add Rule and you will see a new window popup called New Rule as per image below. 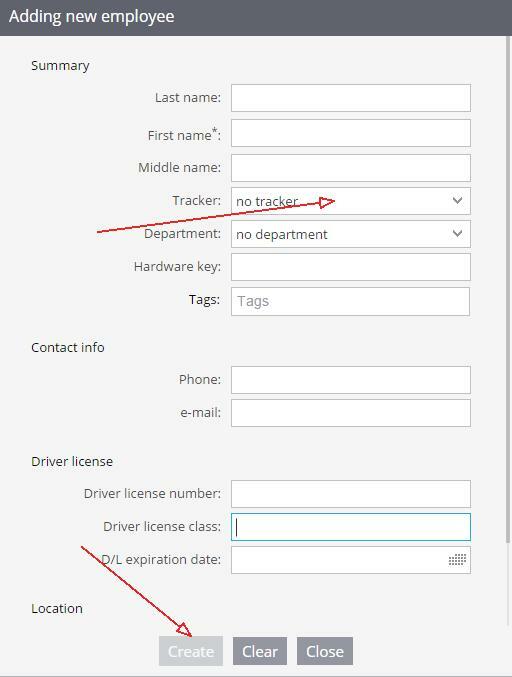 Select the checkbox next to the vehicle or vehicles that you want this rule to apply to. In this example we will choose 2 vehicles. On the right side of the popup window select ‘Speed exceeding’ so that it is highlighted in blue. Under the ‘Rule Options’ tab enter 80 or use the up and down arrows. In the Notifications tab you can customize the notification text that will be displayed. You can also choose to receive the notification that the 2 vehicles are going faster than 80 km/h on the mobile app, email, or SMS (all are free except SMS). See the image below for more details. 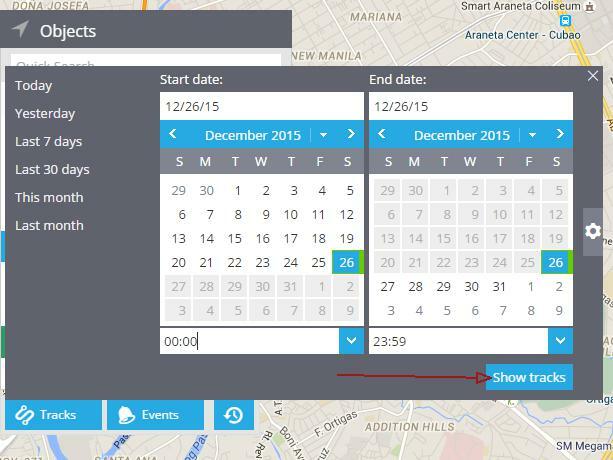 Under the ‘Schedule’ tab decide what days and times this alert rule will apply. If you don’t specify any days and times then the default will apply which is: every day and all the time. Under the ‘Geofences’ tab you have the option of deciding if this alert rule will apply anywhere the vehicle travels (default) or only in a specific geofence. A geofence is simply an area with a ‘GPS fence’ around it. 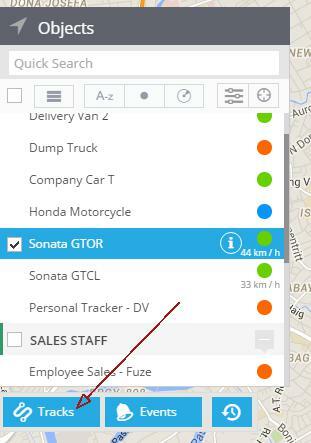 To have this alert rule apply only when the vehicle(s) are inside a geofence first click the ‘Bind Zone to Rule‘ box and then select the appropriate geofence from the list below the box. 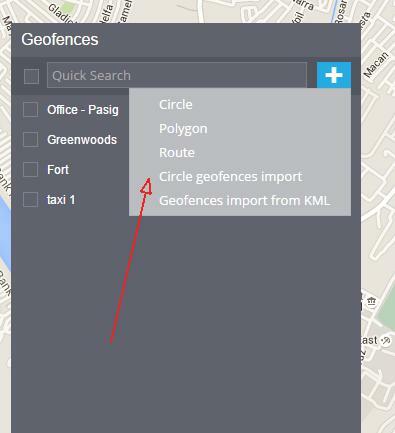 To create a geofence please see the section in this guide called Geofences, or click here. That’s it, you are finished creating an alert rule. Just click ‘Save’. Now every time the vehicles exceed 80 km/h you will be immediately alerted depending on which notification options you chose in the Notifications tab. 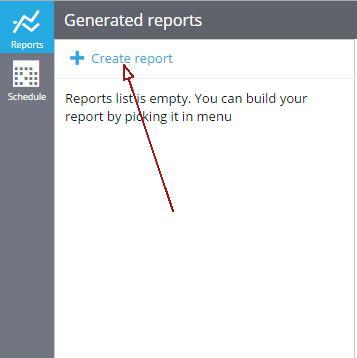 To create a report first click the reports App as shown below. Click the ‘Reports’ button on the top left of the screen as shown. Click the + Create Report as shown. Choose from one of the reports on the list (note that some reports may not be available depending on the GPS Tracker model you have). 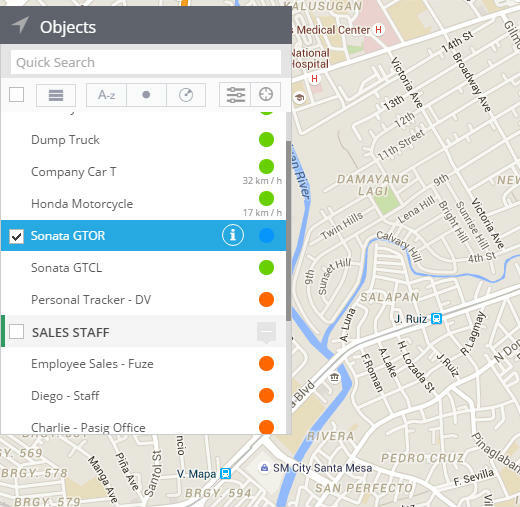 Choose 1 or more objects (vehicles or staff) from the list of objects that you want a report on. Click the report that you just created to view it. You can now view the report and click on any of the addresses on the report to get more details. You can also click the download arrow to download and save the report to your computer in either Excel or PDF format. 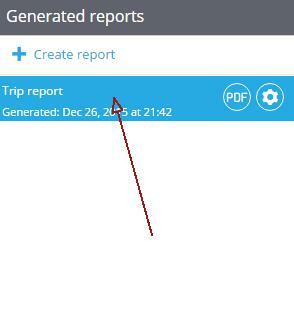 A convenient and time-saving way of viewing and receiving reports is to create the reports with our ‘scheduled reports’ feature. You only need to create them once and they will then automatically be emailed to you without you having to create the report or even logging into the web platform. Then complete the required areas as per the steps bin the image below. 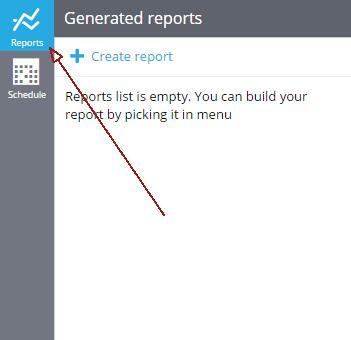 You can create as many scheduled reports as you want and they will automatically be emailed to you. limit the number of devices (vehicles) that each user can see when they log in. For example: you have 20 vehicles in your fleet but you only want User A to have access/view 11 of the 20 vehicles, and User B only needs to have access to 8 of the 20 vehicles, while User C needs access to 19 of the 20 vehicles. To get started creating a new user simply click the person icon as shown below. Then click the ‘Account’ box. A user always has a Role attached to his/her user account. 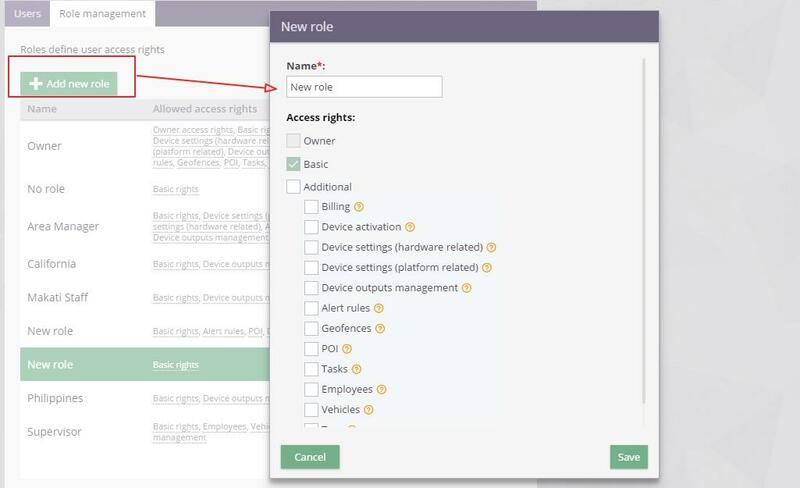 A Role consists of a set of rights/functions for a user when using the platform. You can have create as many Roles as you want, depending on the needs of your business. 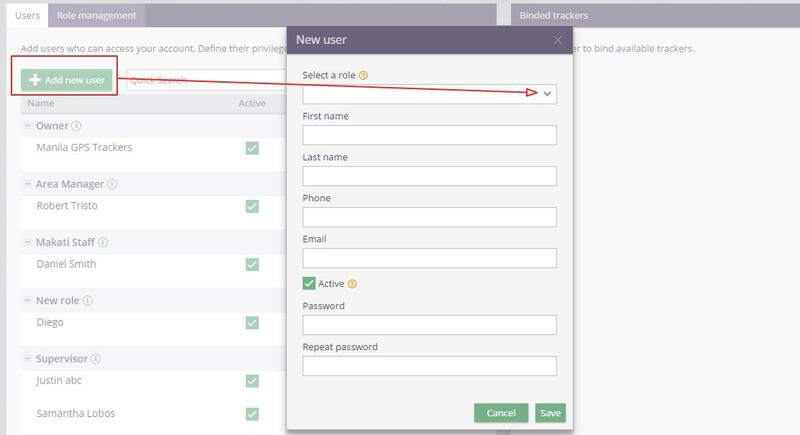 If you already have a Role setup for the new user then you can skip this step and go onto the next step below. If you don’t have a role or want to create a new Role then click the ‘Role Management’ tab on the top as shown below. Click the + Add new Role button and a new popup will display. Here you can select the access rights that this new Role will have. After selecting all the access rights (by clicking on the boxes to the left) then click ‘Save’. Then we must create a new User and attache the Role. To do this click the ‘Users’ tab at the top of the page and then click. Then click + Add new User. Select the Role that you created in the previous steps (or any Role you wish) and then complete the personal details of the new User. After all is completed click ‘Save’. Now we need to select the vehicles that the User can view on the platform when the log in. First, select the User, then click the green arrow as shown below. A new window will open. Select the vehicles that this User can view when the log into the platform. You can select 1 or more vehicles. When you are finished selecting simply click the green ‘Bind trackers’ button. That’s it, now you have a new User, have given the user a Role and have designated which vehicles he/she has access to when logging into the platform. Fuel monitoring is an important component of overall fleet management and can prevent unusual fuel consumption or fuel theft. To monitor fuel consumption, the platform uses the estimated liters of fuel consumed per 100 kms. You can find this information for your specific vehicle in your owners manual or by doing a quick search on Google. 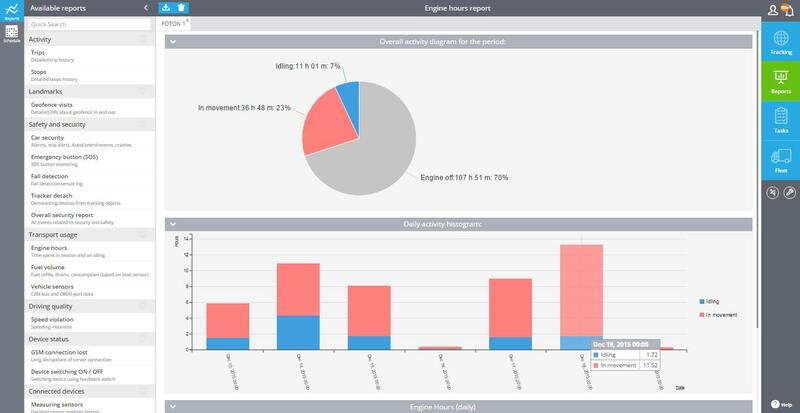 Once you have setup the required info on the platform for your vehicle, you will be able to see the estimated fuel consumption on reports such a ‘Trip Reports’. 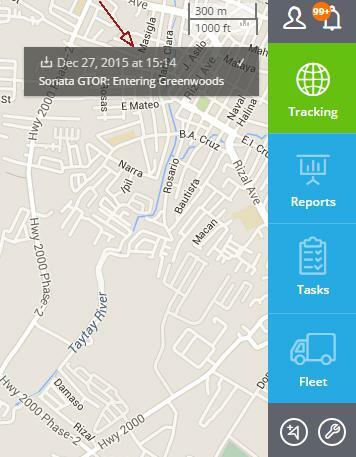 The first step is to select the ‘Fleet’ app as shown below. Enter as much info as you would like about your vehicle, but make sure you enter the minimum required info as shown by the arrows in the image below. Make sure before clicking the ‘Create’ button that you have entered all the required info as shown above. In particular, make sure you have assigned the correct GPS tracker to the vehicle (the correct GPS Tracker is the tracker that is inside the vehicle for which you are creating this fuel consumption data for). After all of the info is entered click ‘Create’. If you have entered all the info correctly, then when you run the ‘Trips’ report you will see at the end of each trip the estimated fuel consumed for that particular trip. Please refer to image below. The trip report also at the bottom shows you a summary of total fuel consumed for ALL the trips shown in the report that you have created. Note: There is no need to install a physical fuel monitor thereby saving you costs as fuel monitors can be expensive and can also be a bit expensive and possibly dangerous as a hole must be drilled in your fuel tank to insert the fuel monitor. Also, when it comes time to sell your truck the new buyer may not be interested in buying a truck with a fuel sensor hole in the fuel tank. The maintenance app lets you setup maintenance tasks or activities on any of your vehicles that have a GPS tracker installed. These activities can be: oil change, rotate tires, re-paint, change oil filter, or any other activity or task that is applicable to your business. 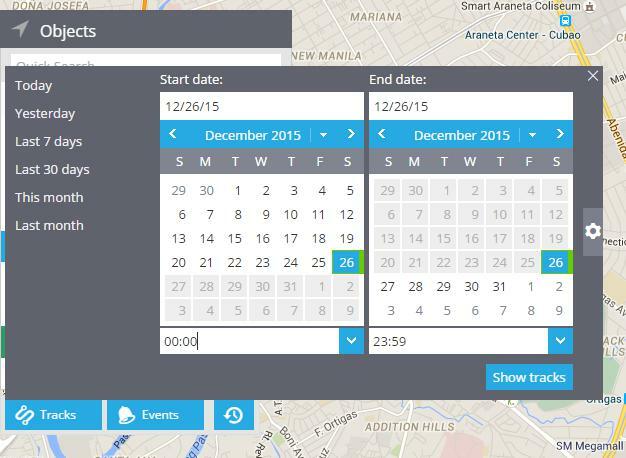 To setup a maintenance activity simply click the ‘Fleet’ button as shown below. Then click the ‘Maintenance’ button. Then click the ‘Add’ button. 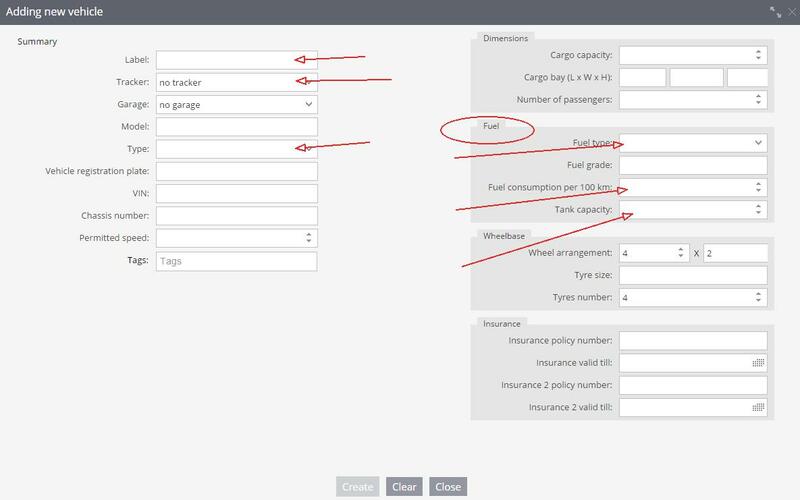 Then choose the vehicle that you would like to add a maintenance task for (you can create as many maintenance tasks for each vehicle as you want). Referring to the image below, add a name for the maintenance task, a description (optional) and a cost for this maintenance task (optional). 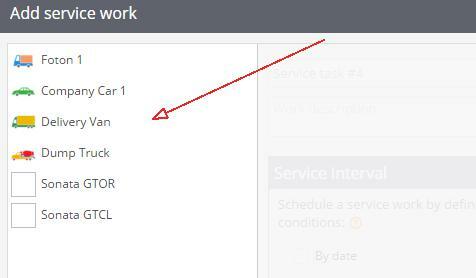 Under the ‘Service interval’ section choose how you want to be reminded about the maintenance task. Your choices are by date, odometer reading on the GPS odometer of the vehicle, or by engine hours. Then go to the ‘Remind’section and choose how you want to be reminded about the maintenance task, you can choose more than 1 option and all are free except the SMS option. You can also have multiple email recipients of this reminder, just click the + button after you enter the email address. Make sure you click ‘Save’ to save this maintenace task. 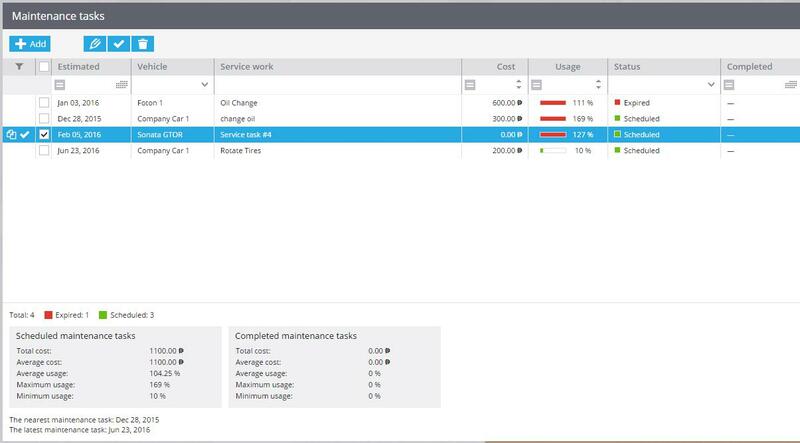 After clicking ‘Save’ you will see, as per the image below, all of your maintenance tasks that you have created and at the bottom you will see a summary of the maintenance tasks. 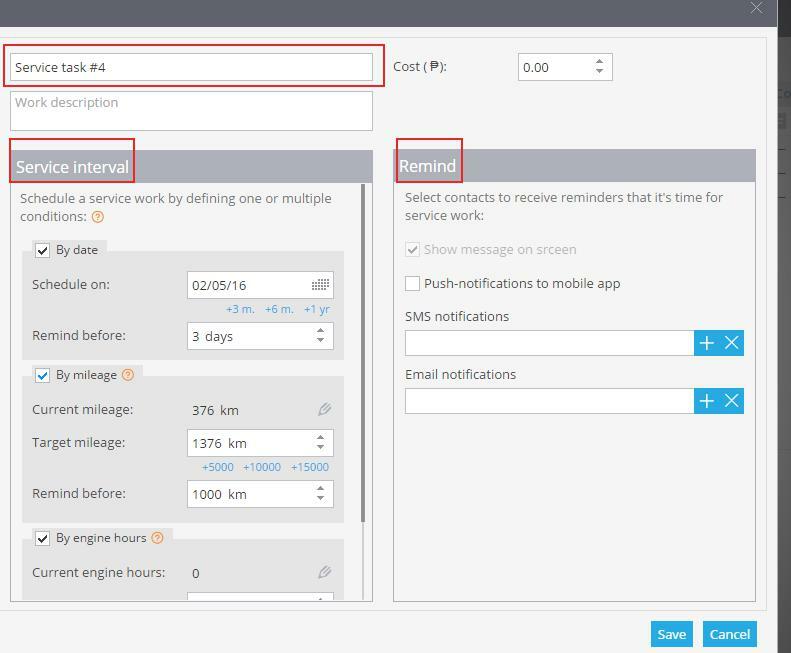 The platform will then automatically remind you of the upcoming maintenance tasks so you never miss an important maintenance activity for any of your vehicles. In the Devices Settings App you can adjust various information of your objects (vehicle or staff trackers). The most common are changing the name of the object and creating groups to organize your objects. To access the Device Settings app simply click the wrench icon as shown below. 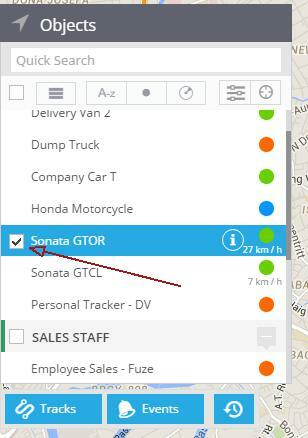 To create a new group (example Delivery Vehicles) simply click the Add Group button as shown below and type the name of the new group and choose the color for the new group. Then click the ‘Group’ box as shown below and choose one of the groups to add the object to. 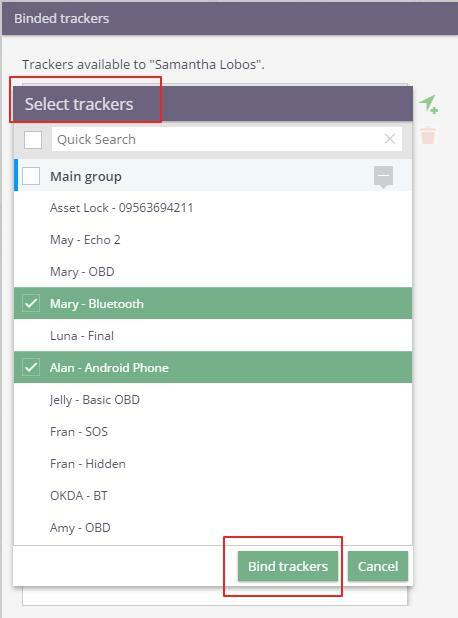 When you go back to the tracking app you will see that the object is now part of the group that you have chosen. 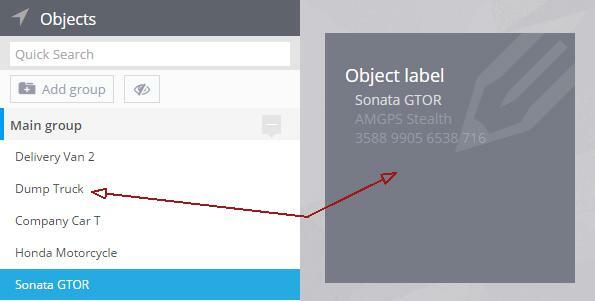 To change the name of the object simply select the object from the left side of the screen and then click the ‘Object’ box. Then type in the new name of the object and click ‘Save’. 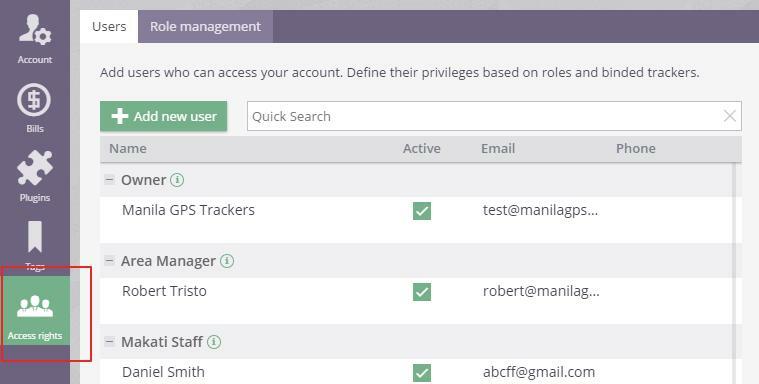 After an employee’s personal tracking app is activated by us, you can setup the employee on your web platform so that you can generate reports on your employees activities in the reports section of the platform. 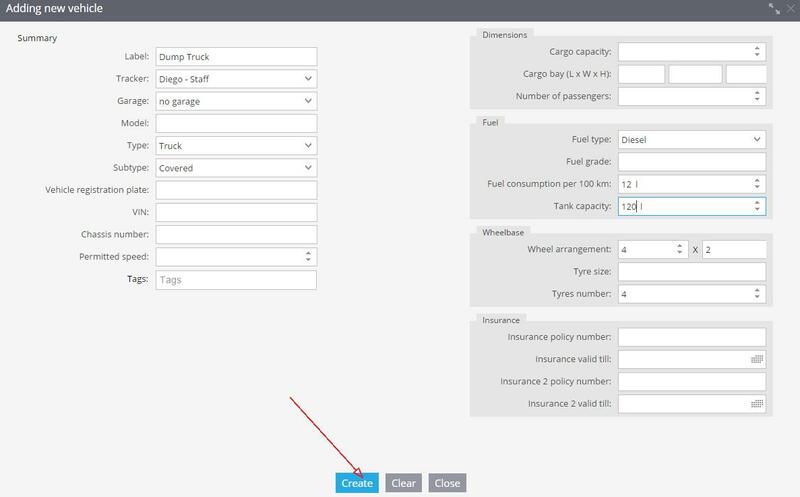 To setup an employee simply click the ‘Fleet’ button as shown below. Then click the ‘Employees’ button. Then click the ‘Create’ button. 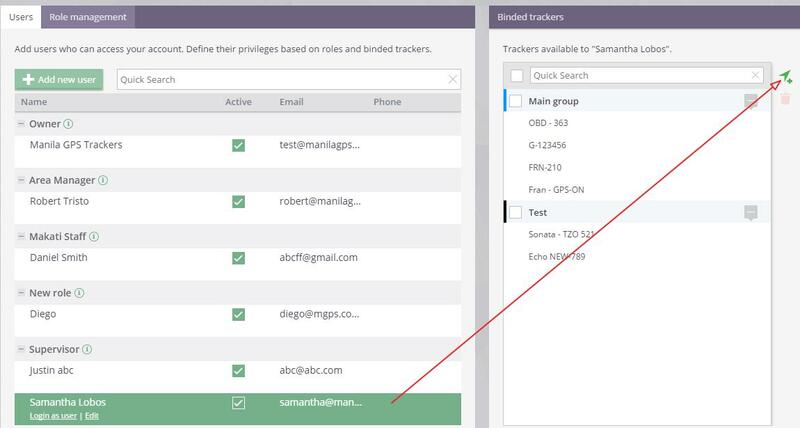 Then complete the information on the page and in particular make sure you assign a staff tracker to the employee from the drop-down list as per the arrow below. 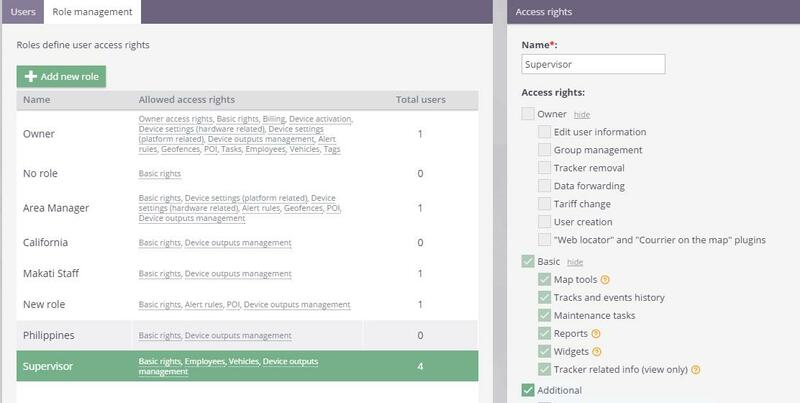 After all the information has been entered simply click ‘create’ and the new employee will be added to your platform and you can now create reports that include this employee.